Money Maker on Neutrogena Soap at Walgreens - Who Said Nothing in Life is Free? 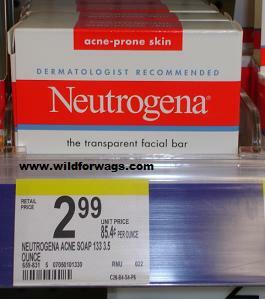 This week when you buy 3 participating Neutrogena Skin and Sun Care Products you get a $10 RR. How do you find out what really works? Does the lip care work? I got home so late today from the Nick hotel so I didn't get to go back out and try to find these soaps but I may try when I am in Cocoa Beach tomorrow!!! I will confirm that this worked for the same bar soap shown in the photo. I'm in Orlando, too. Thanks, Amy!